Pavel E. Felgenhauer is a Russian military analyst who allegedly has insider sources in the Russian military. 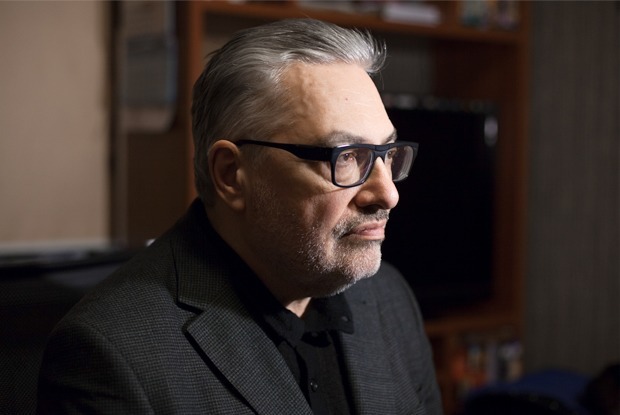 He is known for his publications critical of Russia’s political and military leadership. As a defense analyst and correspondent, he has published numerous articles on topics dealing with Russian foreign and defense policies, military doctrine, arms trade, military-industrial complex in major Russian and international media organizations, including Nezavisimaya Gazeta, Segodnya, The Moscow Times, Novaya Gazeta and The Jamestown Foundation. Definitely, the construction of a new [Russian] military base next to the Ukrainian border [in the town of Klintsy of Bryansk oblast, which is only 50 kilometers from Ukraine – Ed.] carries potential risks for Ukraine. Even though this base is rather targeted against the West. It is next to Belarus, so it can get to the western frontiers through it. Nonetheless, judging by its location, the troops from there can be used against Ukraine too. The confrontation between Russia and the West is only increasing. The conflict and problems with Ukraine have not been resolved either. Until that happens, in the long term, any significant normalization is impossible. The exchanges of fire in the Donbas will continue. It is practically unavoidable. Summer is here and there is a threat that they will significantly increase. They might also be kept at the current level. It all depends on what [political] decisions will be made. Here is to the issue of the presence of Russian troops in the Donbas. Under the name of “DNR/LNR,” in the military sense, there was formed a regular military force, which is somewhat similar to a tank army of the Soviet issue. This structure is integrated in Russia’s system of command and receives its full matériel supply and [military] orders from Russian commanders. This armed regular force employs different types of servicemen: locals, volunteers [from Russia], and temporary assignees directly from the Russian Armed Forces. Of course, this military force is somewhat different from the regular troops of the Russian Army, but in the same way, the force is integrated into it in a command-and-control sense, and is fully supplied by it with equipment and armaments. In essence, the “LNR/DNR” forces are the Russian Army, even though somewhat particular armed forces. It is a well-balanced military machine. At the same time, Moscow pretends that the [Donbas] separatists got organized this way by themselves and receive their supplies, finances, commanders, etc. out of the blue sky. While [Moscow] acknowledges some [Russian] volunteers’ participation there, but not the direct involvement of the Russian government. Such stories are known to history, [for example], in some Congo — when their armed forces fight against a neighboring state while pretending that it is not their forces but some locals. If there was some amateur activity in the Donbas, it ended in 2014. Today’s military structures there are integrated into and execute military orders from Moscow. When it orders them to shoot — they shoot. If it does not — they don’t. These are fully regular military forces under the Russian government, although Russia completely denies it officially.